Acclaimed medical historian Howard Markel tells the astonishing account of the decades-long use of cocaine by Sigmund Freud and William Halsted in his bestselling book An Anatomy of Addiction. Markel speaks of the physical and emotional damage caused by the constant use of the then-heralded wonder drug, and of how each man ultimately changed the world in spite of or because of it. 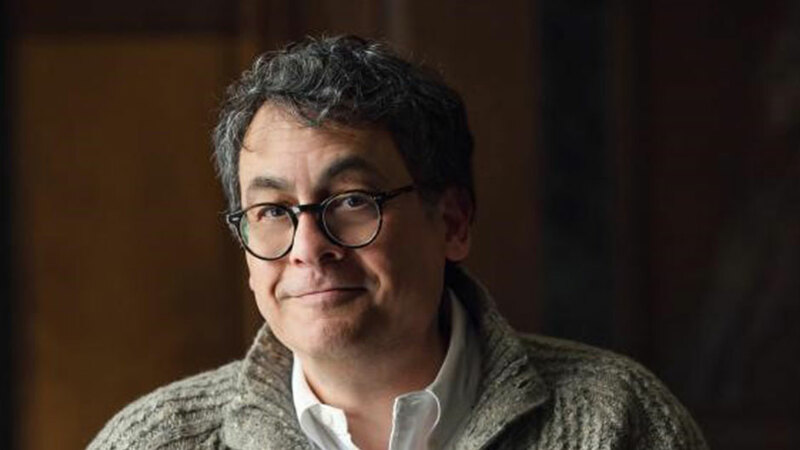 Howard Markel, M.D., Ph.D., is the George E. Wantz Distinguished Professor of the History of Medicine and director of the Center for the History of Medicine at the University of Michigan. He is also a professor of psychiatry, public health, history, and pediatrics. An acclaimed social and cultural historian of medicine, Dr. Markel brings to audiences a fascinating historical perspective. Markel is the author, coauthor, or coeditor of ten books, including the award-winning Quarantine! 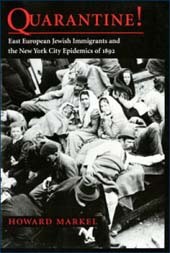 : East European Jewish Immigrants and the New York City Epidemics of 1892 and When Germs Travel: Six Major Epidemics That Have Invaded America and the Fears They Have Unleashed. An Anatomy of Addiction: Sigmund Freud, William Halsted, and the Miracle Drug Cocaine, garnered wide critical praise and was a New York Times bestseller, an Amazon bestseller, a Barnes & Noble bestseller, and a New York Times Book Review editor’s choice. His most recent work is The Kelloggs, a fascinating chronicle of John and Will Kellogg, who built an empire and changed the course of American medicine, nutrition, and diet. Dr. Markel has appeared on numerous national radio and television news broadcasts and in film documentaries about the history of medicine and public health for National Public Radio (All Things Considered, Morning Edition, Talk of the Nation, Science Friday, Here and Now, Tell Me More, andMarketplace), ABC’s Good Morning America, PBS (Nova, Frontline, NewsHour), PRI’s The World, CNN, MSNBC, Fox, and the History Channel. In 2008, he was elected a member of the Institute of Medicine of the National Academy of Sciences. Drawing from his bestselling book, Dr. Markel tells the astonishing account of the years-long cocaine use of Sigmund Freud, the father of psychoanalysis, and William Stewart Halsted, the father of modern surgery. While describing the physical and emotional damage caused by the then-heralded wonder drug, Markel tells the inspiring story of how each man ultimately changed the world in spite of it—or because of it. Our struggle against deadly microbes is endless. Diseases that have plagued human beings since ancient times still exist, and nearly every year new infectious killers sprout up to threaten our well-being. Surveying AIDS and tuberculosis, influenza and SARS, Dr. Markel provides an eye-opening look at the fragility of our public health system and the very human stories of those most affected by contagious crises. Drawing on more than thirty years of medical practice—and on many of the essays on patient care he has written for The New York Times—Dr. Markel discusses the patients who have taught him most about humanity, humility, and the compassionate aspects of being a doctor. He recounts stories that inspire hope as we all struggle with our personal health issues and, more broadly, the rapidly changing U.S. health care system. Every day, newspapers, television and radio broadcasts, and the Internet herald the latest advances in medicine. But how are these stories selected, and what is their impact on the American public? Using his decades-long experience as a medical journalist who has broken stories for The New York Times, The Wall Street Journal, The Washington Post, and NPR, Dr. Markel explains the good and bad results of “hot” medical news. The United States is in the midst of a terrible and deadly epidemic, but it is not caused by infectious scourges that once stalked the planet. Instead, this is a human-made crisis, generated by an unholy alliance of major pharmaceutical companies, doctors too eager to prescribe potent painkillers, and patients clamoring for them to the point of addiction and even annihilation. Overdoses of narcotics, opiates and opioid drugs are the number one cause of death for Americans under 50: in 2017 alone, these drugs killed more people than gun injuries or automobile accidents. In this lecture, Dr. Markel applies his experience as a pediatrician, an addiction physician, and the author of the bestselling book An Anatomy of Addiction to describe the long history of this catastrophe, how it has grown in recent decades, and what we must all do to stop this epidemic in its tracks. A tour de force of scientific and social history, one that helps illuminate a unique period in the long story of medical discovery. . . . Absorbing and thoroughly documented . . . a vivid narrative of two of the most remarkable of the many contributors to our understanding of human biology and function. Incisive. . . . An irresistible cautionary tale.